It’s November 5 and more importantly, Virat Kohli’s birthday. The Indian skipper turns 30 on this day in 2018. Known as the poster boy of world cricket, Kohli received a massive response from the fans around the world. Several current and former cricketers poured their wishes for the Delhi-lad. Virat has been rested from India’s ongoing T20I series against Windies. He is celebrating the birthday with his wife and Bollywood superstar Anushka Sharma. The couple arrived at the Jolly Grant Airport in Dehradun on Saturday night. They will stay in Haridwar till November 7. They are expected to visit the Anant Dham Atmabodh Ashram, headed by Maharaj Anant Baba, who is Anushka’s family’s spiritual guru. 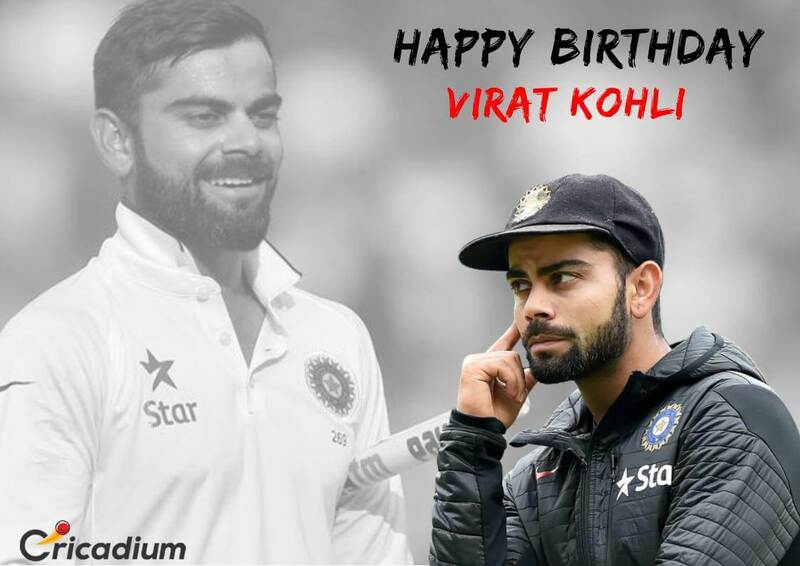 Several cricketers sent in their wishes for Virat Kohli’s birthday. The former cricketers like Sachin Tendulkar, Virender Sehwag and VVS Laxman wished him years ahead full of success. Amongst the current cricketers, Cheteshwar Pujara, Ajinkya Rahane, Ishant Sharma, Rashid Khan were amongst the many who wished the Indian captain. BCCI posted a video that comprised of wishes from his teammates. MS Dhoni led the wishes by terming him a PUBG fan and referred to a childhood pic of his. Ravindra Jadeja asked his captain to start eating roti, rice and lots of sweets, something that Virat Kohli won’t do as he has a strict fitness routine. India’s coach Ravi Shastri called him a 25-year-old as he believed that the right-hander still owns the fitness of a young man.